“Our entire understanding of the Universe, even how we interpret the light we see from stars and galaxies, would be affected if the Universe were not even on large scales. By looking at how the WiggleZ galaxies are distributed in space on scales up to 930 million light years, we find that they are very close to homogeneous, meaning there is no large-scale clustering. So we can say with a high degree of certainty that our picture of the large-scale Universe is correct,” said Morag Scrimgeour of the International Centre for Radio Astronomy Research (ICRAR). The current model is based on Einstein's equations assuming everything is smooth on the largest scales. If matter were instead clumpy on very large scales, then the entire model would need to be rethought. This image above is a slice from a large simulation called 'GiggleZ' which complements the WiggleZ survey. It shows a snapshot of the large-scale matter distribution as studied in Morag Scrimgeour's research. 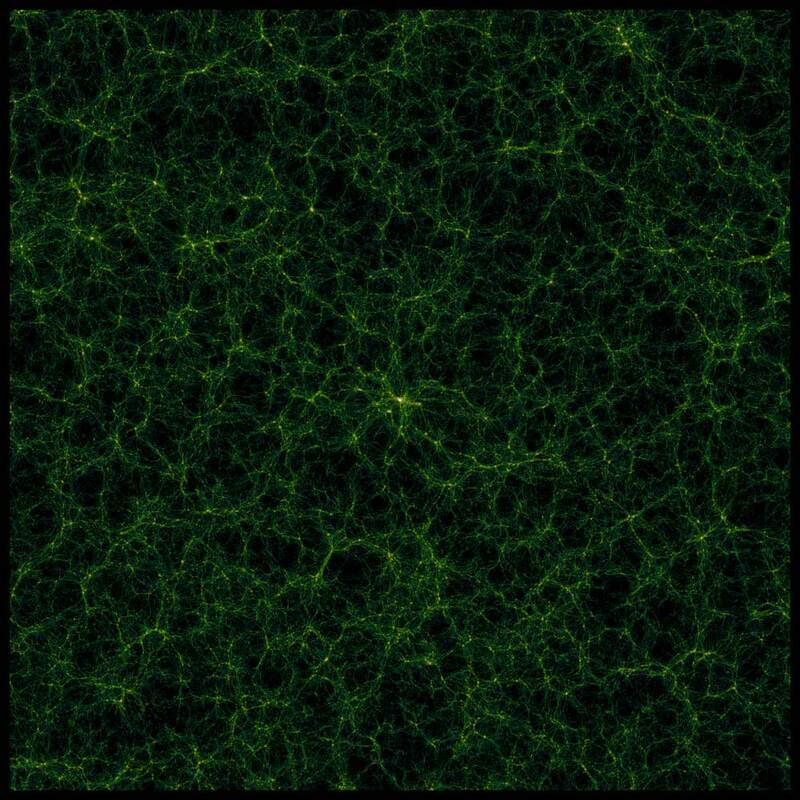 Cosmologists agree that on 'small' scales (tens of millions of light years), matter in the Universe is highly clustered. So the 'standard model' can only hold true if the Universe transitions to an even distribution of matter (homogeneity) on larger scales, irrespective of the viewing direction. However, some scientists have recently argued that the entire Universe never becomes homogenous, and that it is clustered on all scales, much like one of Mandelbrot's famous 'fractals' (a snowflake is a good example of a fractal). If the Universe has properties similar to a fractal, our description of space and time is wrong, and our understanding of things like Dark Energy is deeply flawed. ICRAR is a joint venture between Curtin University and The University of Western Australia providing research in the field of radio astronomy. ICRAR researchers are playing an important role in the design and ultimate success of the Square Kilometre Array radio telescope project. This project is part of 'The Dark Universe' theme of the ARC Centre of Excellence for All-sky Astrophysics (CAASTRO). For more information, please see www.caastro.org. The night-time photo below of the Anglo-Australian Telescope in central New South Wales during observations for the WiggleZ project. During this 10-minute exposure one of the team spelt out the survey name with a torch, while walking along the telescope catwalk 8 stories above the ground. In the background we can see dust and star clouds of the Milky Way galaxy (upper right) and our neighbor galaxy, the Small Magellanic Cloud (upper left).